(MID-SHELF) Red Dragon is one exotic flower. A Barney’s Farm cross between a West Himalayan Kush and Utopia Haze (a Brazilian sativa), this hybrid is a strain for connoisseurs. Featuring a sweet, fruity aroma, Red Dragon offers consumers a truly different cannabis experience. Slightly sativa-dominant, this strain is giggly and upbeat. Great for those suffering from depression or stress, Red Dragon has a very happy and uplifting effect. Unfortunately, this strain may cause some to feel quite paranoid. 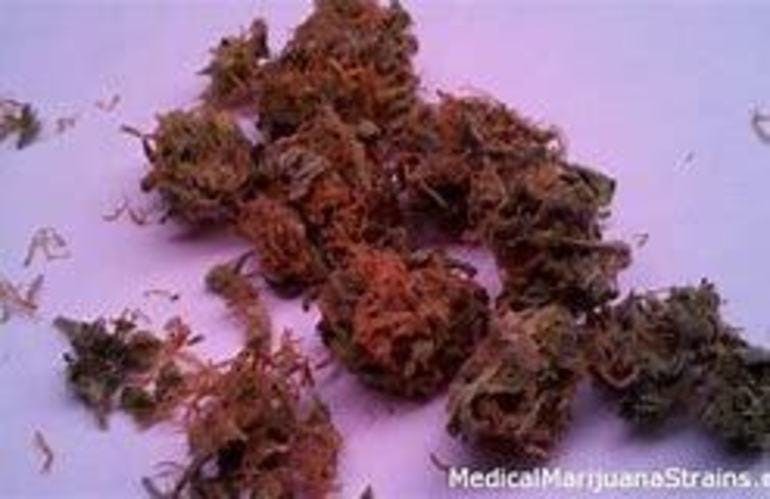 If you’re prone to anxiety, Red Dragon may not be the best strain for you. This hybrid grows best indoors and has a flowering time of 8-10 weeks.